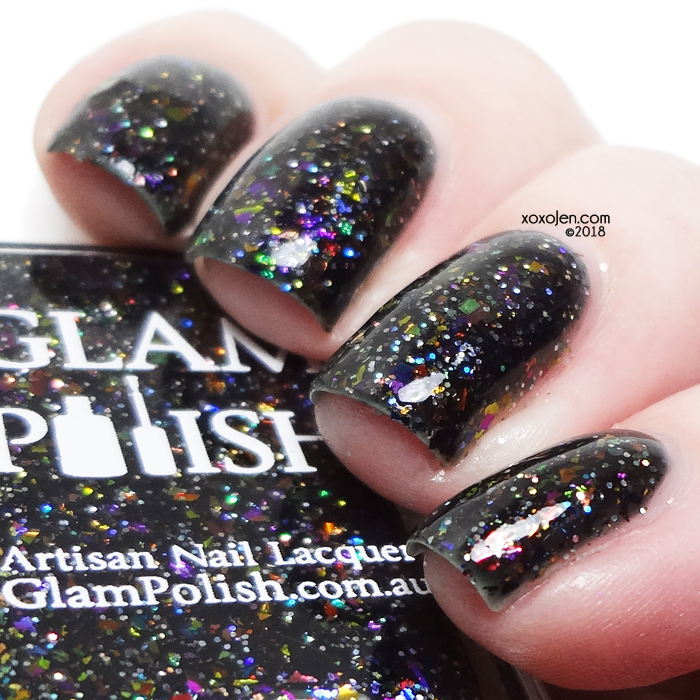 The August Glam Polish Fans Duo is inspired by Tim Burton’s The Nightmare Before Christmas. 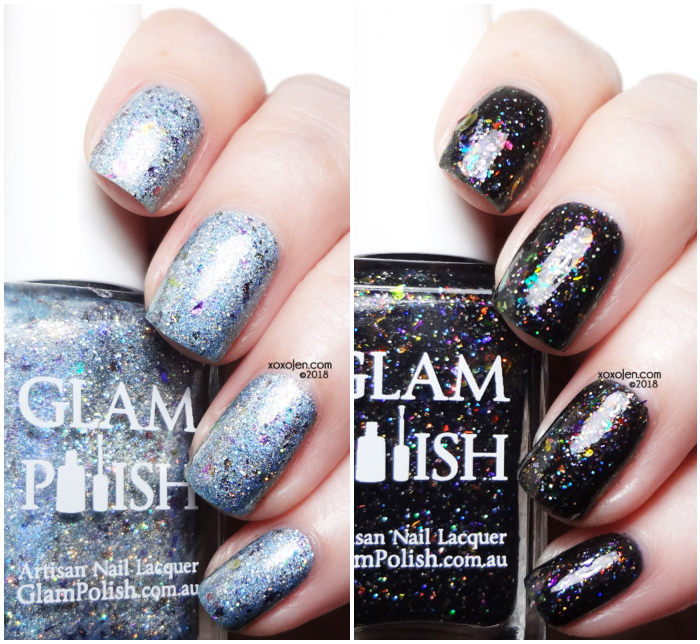 To get these exclusives, you'll need to join the Glam Polish Fans Facebook group to get the ordering info and a code which are required for purchase. Release Date: Friday, August 3rd 1pm Central. We’re Simply Meant To Be. 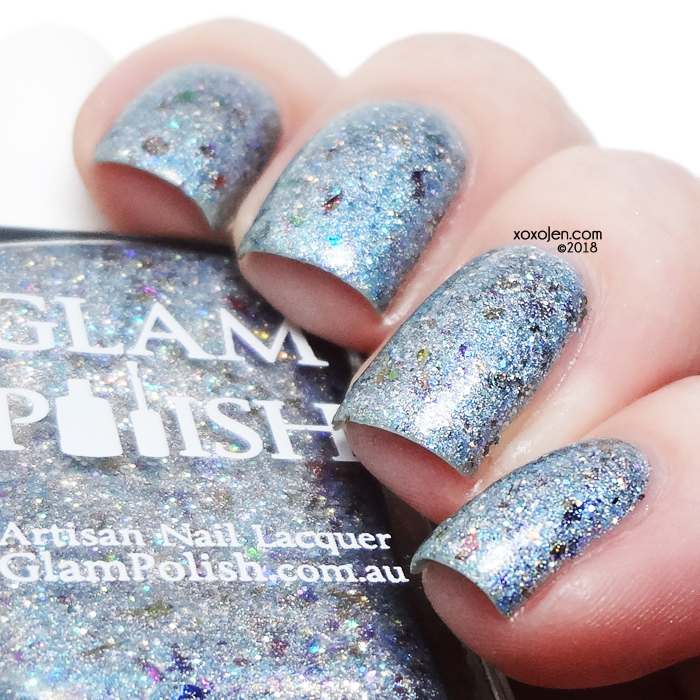 - Light Blue holo multichrome flakies, and ultra holo glitter. I applied two smooth coats for opacity and just look at that shimmer and sparkle! What’s This? What’s This? 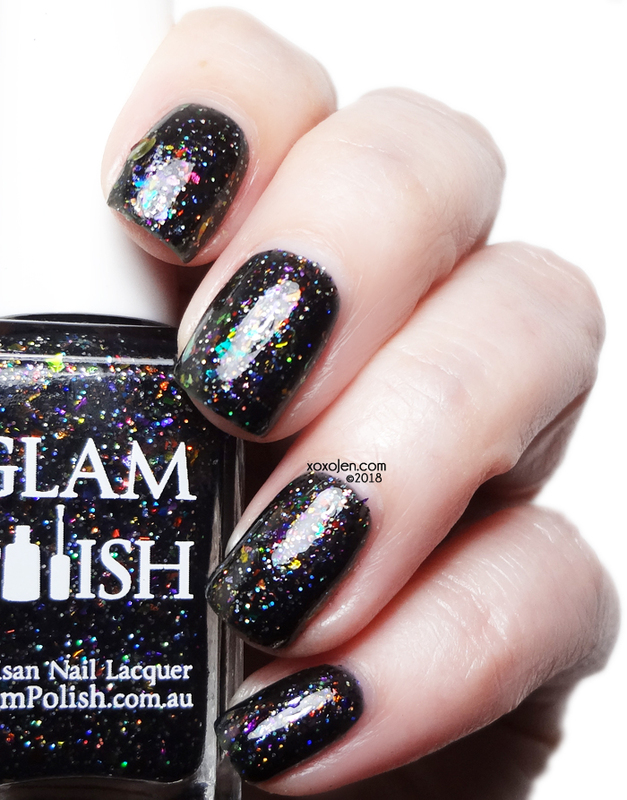 - Black jelly with rainbow multichrome flakes and ultra holo glitter. Two coats are shown here, and I was impressed that such a dark base doesn't drown the vibrant color of the flakes. 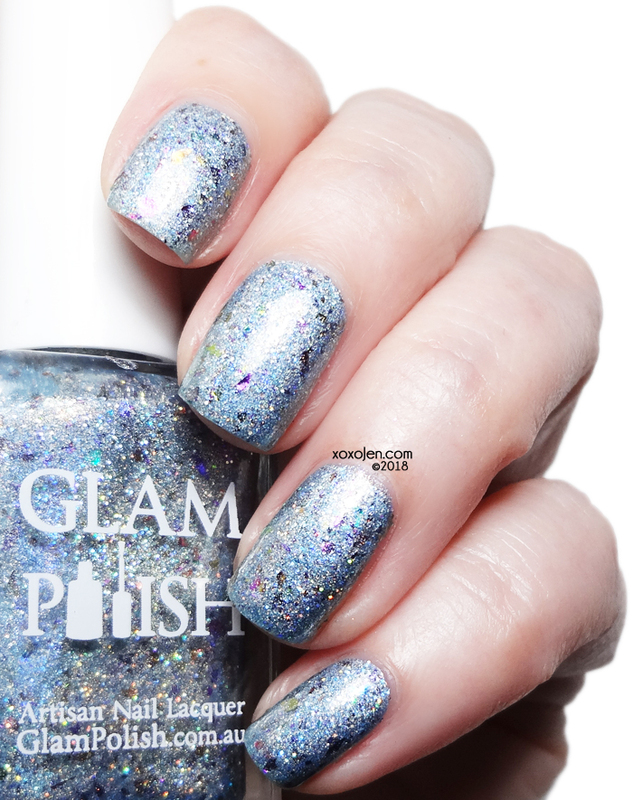 To get these exclusives, you'll need to join the Glam Polish Fans Facebook group to get the ordering info and a code which are required for purchase.